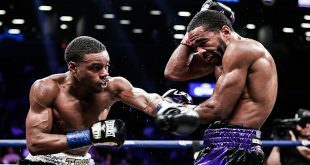 WBO NABO Welterweight titlist Shamone Alvarez entertained a hometown crowd last night as he turned back the challenge of Chicago's Germaine Sanders at Boardwalk Hall in Atlantic City, NJ. Former IBF Light Welter Champ Juan Urango was also in action as the Colombian slugger stopped fellow southpaw Nasser Athumani in four. Both Alvarez, 19-0 (11), and Sanders, 27-4 (17), were coming off career best wins and the visitor from Chicago gave the champion a tough time for all twelve rounds but it was the superior southpaw style of Alvarez that swept the cards 117-112 and 115-113 twice for the unanimous decision win. Alvarez could get the winner of November's upcoming superfight between WBO Champion Miguel Cotto and WBC Interim titlist Shane Mosley in a mandatory challenge. 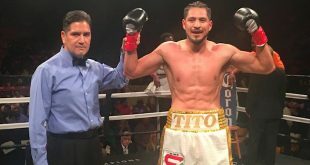 For his first fight back following a loss to Ricky Hatton nine months ago, Juan Urango, 18-1-1 (14), had his hands full on the undercard with fellow southpaw bomb thrower Nasser "The Silencer" Athumani, 20-5-1 (16). 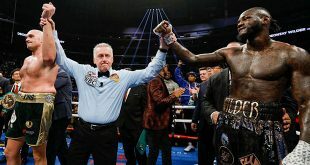 Athumani had previously only fought in either Kenya or Denmark before suffering a stoppage loss to WBC Youth Light Welter titlist Timothy Bradley in California four months ago and it looked like this American trip was going to go even worse for the 38 year old East African as he was canvassed by Urango in the first round. But Athumani showed his meddle by beating the count and shaking Urango to his boots before the initial frame was over. As the contest wore on, neither man seemed to have the edge until Urango broke through and stopped Athumani at 2:59 of the fourth.